1020 Restaurant & Pub (formerly Timeless Tea) released their rockfish during the official re-grand opening of the restaurant under its new name. 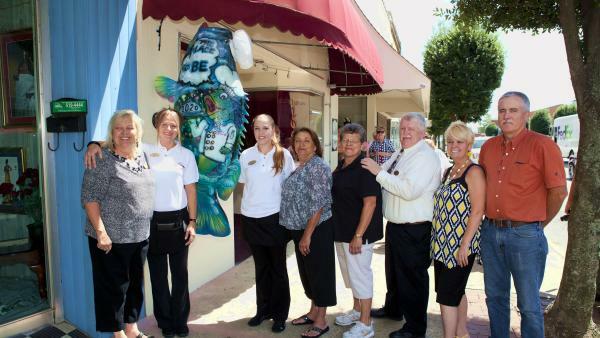 The fish, painted by artist Harold Evans of Weldon, was installed vertically on the side of the building on Roanoke Avenue. The fish is adorned with all sorts of tasty treats and items symbolic of the restaurant – delicious entrees, a tea bag, and chef’s hat and more.